Welcome to Body n’Sync! Our mission is holistic wellness: fitness of body, freshening of spirit, and relaxation of mind. 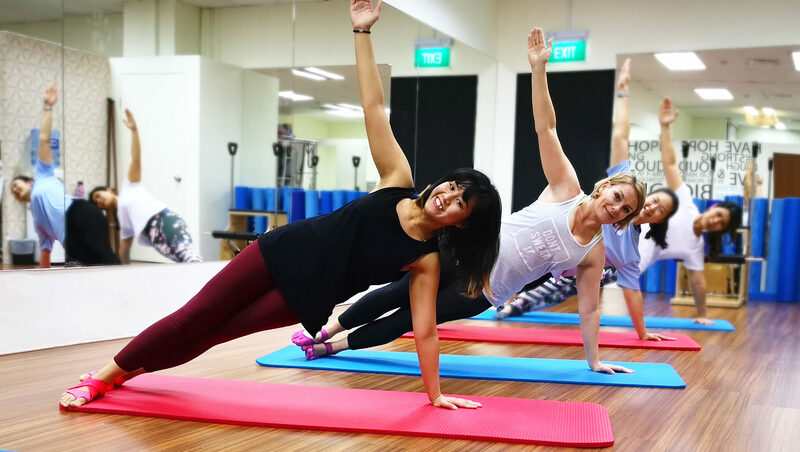 Let our Body n’Sync instructors guide you through the exciting world of Pilates! Whether Mat or Reformer Pilates, solo or group class, our studio has the class for you! Relax and refocus your mind while honing your body to new, toned heights. 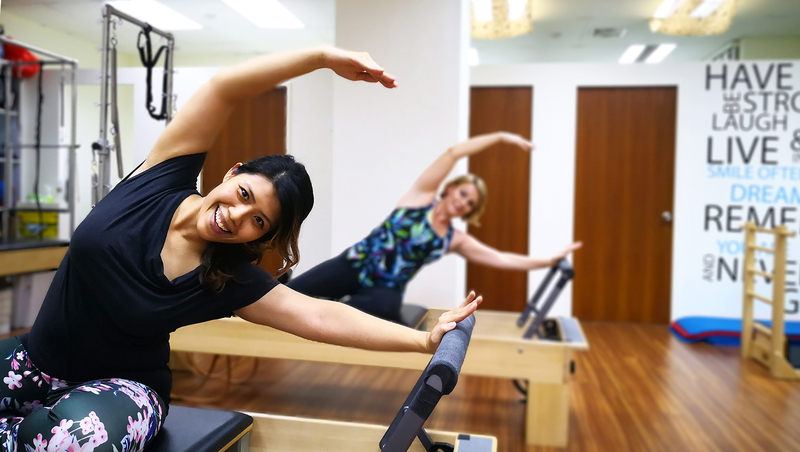 From improved posture to a stronger back, uncover a rejuvenated new you through Pilates! Our busy lifestyles can take its toll on our bodies: tight muscles, nerve pain, joint injuries. Sometimes, these conditions can even limit our ability to keep fit! Body n’Sync offers Muscle Release Therapy and Physiotherapy to bring you back to an optimal condition for effective exercise and body comfort! Balance in life means healthy indulgence in moderation as well. Periodically, Body n’Sync offers workshops and events in collaboration with wellness, beauty, nutrition and lifestyle partners. Contact us to find out about our upcoming events. Introducing a range of new classes into our group class schedule, including; Barre, Rhythmic Pilates and Express Lunch classes. Contact us to book a class today! There are many reasons to take up a professional Pilates course! If not to teach others, it can also enhance your knowledge for personal training purposes! Contact us to find out when the next Teacher Training Course is starting or enquire about private Teacher Training options. Far East Finance Building, Singapore 048545. © Copyright 2017 Bodyn'Sync, All Rights Reserved.